​The Empowerment Resurrection Center of Chester, Pennsylvania. ​We seek to help individuals understand their problems through therapeutic processes. 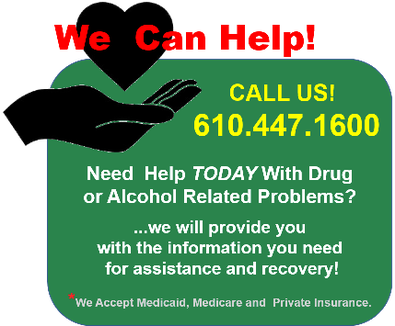 ERC of Chester, Pennsylvania, is a substance abuse, drug and alcohol addiction assistance and rehabilitation organization, accepting clients from the Pennsylvania, New Jersey and Delaware tri-state area and beyond. An out-patient rehabilitation center, we offer high standard, professional help to men and women 18 years and over. Persons from all faiths and walks of life are welcome. ​Our vision is to provide drug addicts and alcoholics high quality physical, mental, emotional, and spiritual help, leading to their recovery. Programs are developed based on the assessment of the individual client's needs with the goal of helping clients develop alternative ​patterns of behavior and life skills to maintain a drug free, productive lifestyle.